Once upon a time there was a young prince who took his young princess bride to a wonderful feast in Cinderella’s castle. It was a magical night they have remembered all their lives and shared with their children. 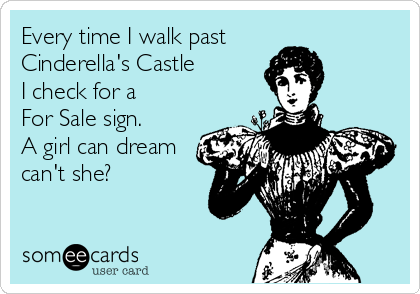 It would be a wonderful retirement castle. The dreams go on!